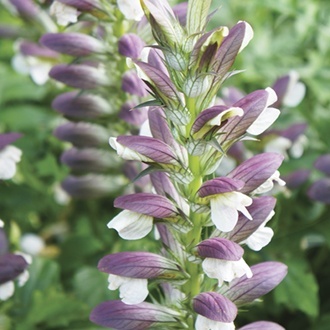 A strong and robust herbaceous perennial producing handsome large and lobed, deep green foliage topped by racemes of tall white flowers with light purple bracts - very architectural. 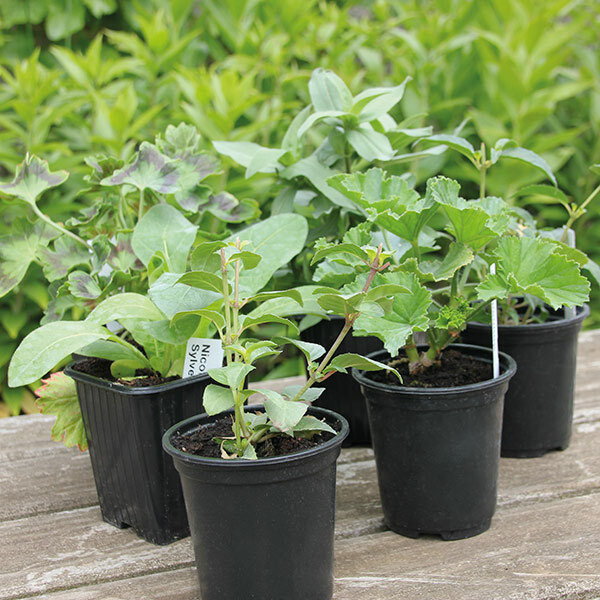 • Plant in sun or part shade in rich, moisture retentive, but well-drained soil. • Flowers July to August.